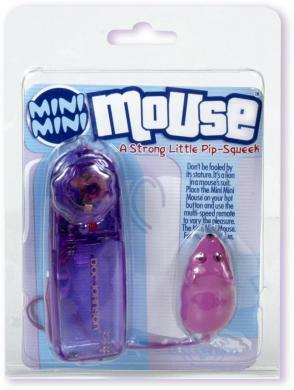 Mouse - Don't be fooled by it's stature. It's a lion in mouse's clothing. Place the Mini Mini mouse on your hotspot and use the multi-speed vibrations for big time pleasure. Go ahead hop to it! 2 AA batteries, not included.